Vietnam Silicon Valley Accelerator's Demo Day 2018 provides platform for startups to promote their ideas among investors. Vietnamese startups expect to attract more investors this year, Demo Day 2018, held by Vietnam Silicon Valley Accelerator (VSV Accelerator) in Hanoi on February 1, heard. Ms. Tran Thanh Huyen, Co-founder of the startup True Juice, told VET she wants to attract potential investors interested in her business model. True Juice supplies fresh vegetable juice and fruit juice to customers with new recipes and new methods that ensure maximum nutrition. Target customers are office workers, postpartum women, and vegetarians. There were ten outstanding startups making presentations at Demo Day 2018 to explain their idea and persuade investors. Deputy Minister of Science and Technology Tran Van Tung highly appreciated the entrepreneurial spirit on display and said the ministry would support VSV Accelerator in startup projects. 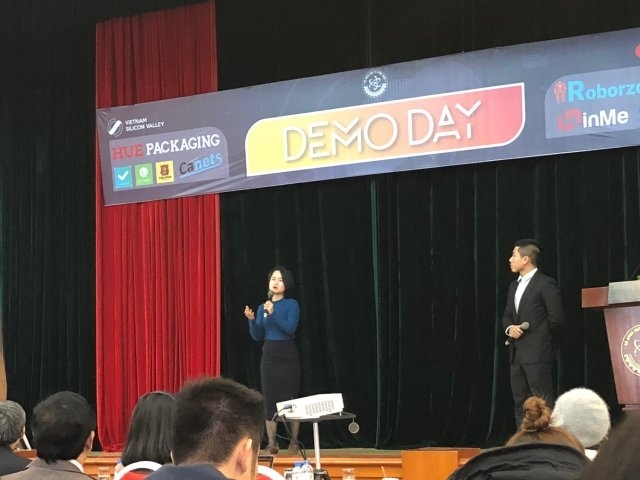 Attending the Demo Day 2018 were leaders from the Ministry of Science and Technology, representatives from VSV Accelerator, ten startups, and about 100 investors, including professional investors. Startups included Canets, Fresh Deli, Hue Packaging, True Juice, 689Cloud, Turline by Cores, Roborzoid, Handfree, Winme, and Peko Peko. The startups overcame more than 100 other applicants to appear at Demo Day 2018. They have been accredited by VSV Accelerator and have graduated from its four-month training program. 2018 is the fourth annual Demo Day and is a continuous improvement program. The goal is to provide an opportunity for startups to present their business results and growth potential to investors, thereby establishing a relationship with potential investors and beginning to raise funds. It is also an opportunity for startups to receive feedback from investors and experts to improve their business models. 2017 marked an important transition for VSV Accelerator, with it signing a strategic cooperation agreement with Microsoft Vietnam and Lotte Accelerator to support incubation and startup investments. VSV Accelerator selected ten potential startups for investment and incubation under the agreement. During the last four months of last year, the startups undertook a special training session with VSV Accelerator to perfect business models. Lotte Accelerator was one of the units working with VSV Accelerator to host the Demo Day. VSV Accelerator is a network of more than 40 local and international mentors and investors supporting more than 30 startups, including potential companies like Lozi.vn, TechElite, SchoolBus.